Dante Law Firm | Millions Recovered. FREE Consultation, (305) 949-2526. Personal Injury Attorney Miami Beach. Miami Beach Injury Lawyer. Miami Beach Personal Injury Lawyer. Miami Beach Personal Injury Attorney. Accident Lawyer Miami. Florida Personal Injury Law Firm. Have you been injured in an accident in Miami Beach? Are you struggling to pay your bills because your accident left you unable to work? Is your insurance company offering you a settlement that is far below what you need to recover? If you or someone you love has been injured in an accident in Miami Beach, North Miami Beach, Hollywood, North Miami, Miami Gardens, Opa Locka or anywhere in the South Florida tri-state area, you need an experienced personal injury lawyer on your side. We have successfully represented injured clients and their families and helped them recover the money they needed to right the wrongs and put their lives back together again. Contact the Dante Law Firm, P.A. to learn more about all of your legal options. Call us at 1-888-920-HURT or 305-949-2526 today to discuss your case. From the moment you are injured in the accident you need an experienced personal injury attorney on your side. In the immediate weeks following a crash, injured accident victims and their families are focused solely on their recovery. Insurance companies are well aware of this–and offer lowball settlements that are designed to minimize their liabilities and reduce their payouts. They don’t have any trouble taking advantage of you during this difficult time. That’s why you need an experienced Miami Beach personal injury lawyer on your side. At the Dante Law Firm, P.A., our personal injury lawyers know exactly how insurance companies work and the tricks they use. We use this insider knowledge to get you the maximum compensation and to make sure that you have the money you need to fully recover. Our personal dedication is what sets us apart from the rest of the attorneys in Miami Beach. 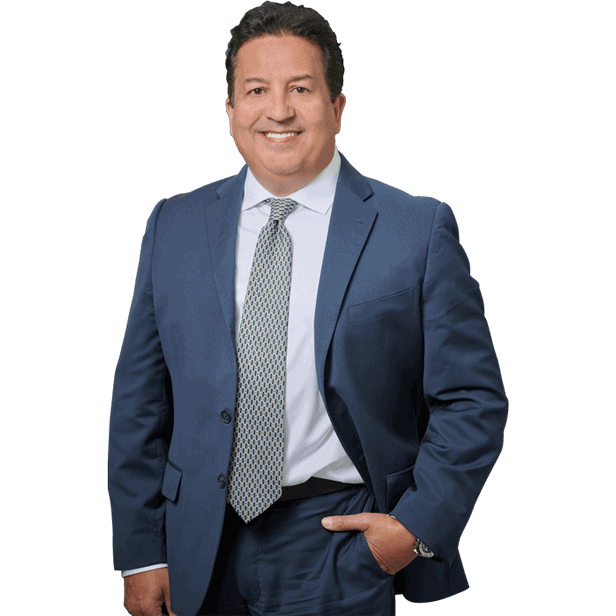 Attorney Victor Dante personally visits his clients in their homes and in the hospitals, so that he can begin building a case from the moment they are injured. This is why so many of our clients recommend us to their friends and families. We have satisfied clients and our record of success speaks for itself. Our lawyers have over 20 years of experience representing injured accident victims and their families in Miami Beach and throughout South Florida. At the Dante Law Firm, P.A., we understand that finances are tight after accident. We also understand that the litigation process can take time and resources. That’s why we offer all of our legal services on a contingency basis. This means we don’t collect a penny, until we collect for you. That’s our “no recovery–no fee” promise. We don’t get paid unless we get you the compensation you deserve. Why do we represent our clients without collecting any out-of-pocket fees? Because we believe the justice should be for everyone in Miami Beach, and not just for those who can afford it. If you have been injured or someone you love has been killed in an accident in Miami Beach, an experienced Miami Beach personal injury lawyer can help. Contact the Dante Law Firm, P.A. to learn more about all of your legal options.